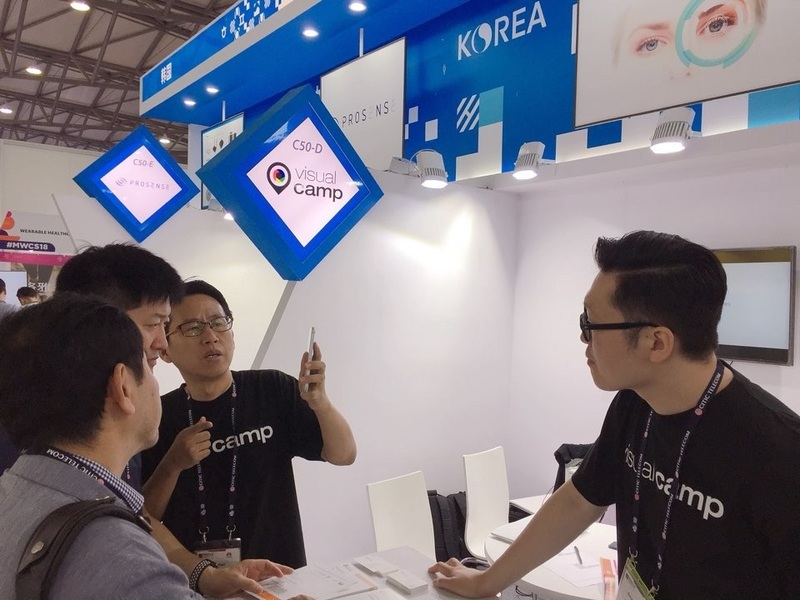 VisualCamp unveiled its mobile eye-tracking technology at MWC Shanghai 2018, which the company participated in from June 27 to 29. The K-ICT Born2Global Centre, which supports promising technology companies in their efforts to enter overseas markets, announced that member company VisualCamp showcased its self-developed mobile eye-tracking technology in China to great fanfare. 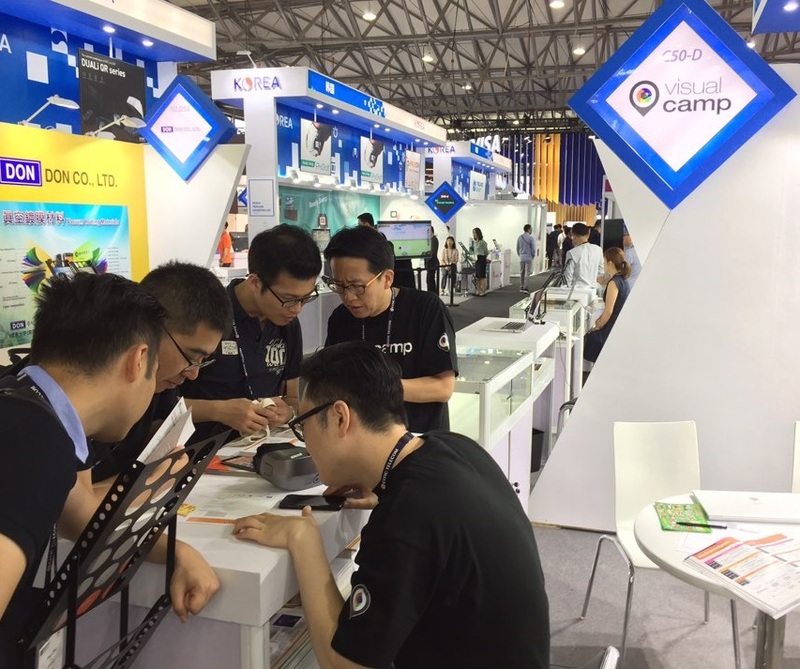 The mobile eye-tracking technology that VisualCamp unveiled at MWC Shanghai 2018 was designed to enable smartphone users all over the world (approx. three billion) to navigate their smartphones only using the gaze. Mobile eye-tracking technology uses a camera attached to the front of the smartphone to track the user’s gaze. With this technology, the smartphone user can not only execute various tasks through the user interface, such as executing and switching between mobile apps, but also engage with interactive advertisements. 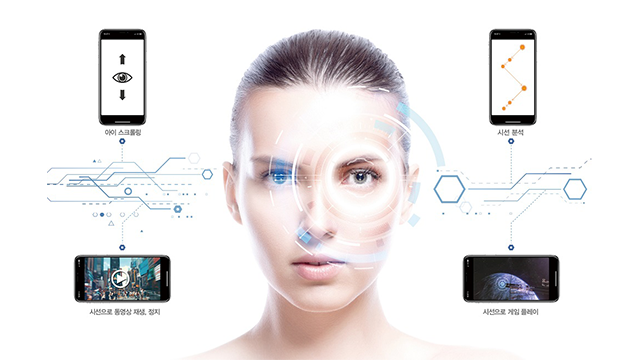 Mobile eye-tracking technology has already attracted a great of interest from smartphone manufacturers and the advertising industry. One particularly noteworthy outcome of this year’s MWC is the MOU that VisualCamp signed with TUS-VR, an affiliate of Tsinghua University, regarding the commercialization of VisualCamp’s technology in China. By signing this agreement, VisualCamp aims to establish a foothold in China as a stepping stone toward entering the global market.